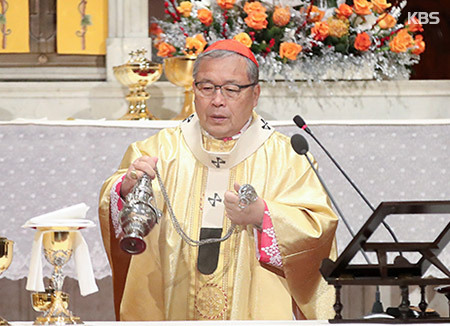 The Archbishop of Seoul, Cardinal Andrew Yeom Soo-jung, has sent a message of consolation to the Roman Catholic Archdiocese of Paris over the fire at the Notre Dame Cathedral. In a message released Tuesday, Cardinal Yeom said that the Notre Dame Cathedral is a symbol of Christianity not only for France, but for the entire world. He said that the entire Catholic community in Seoul is praying for the firefighters, and are sharing in the suffering of the citizens in Paris. While hoping for a swift rebuilding of the cathedral, Yeom also promised to gather support for the restoration efforts.